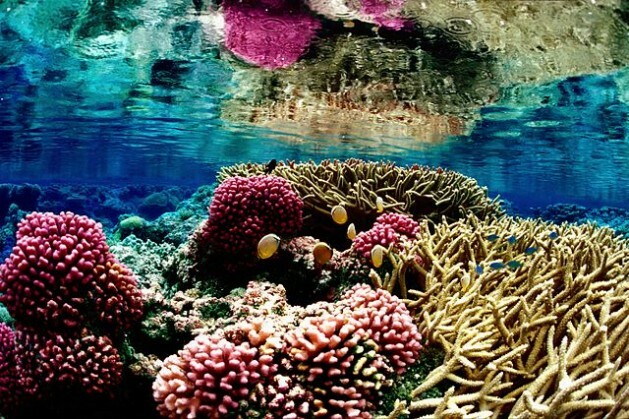 UNITED NATIONS, Apr 23 2015 (IPS) - The untapped riches in the world’s oceans are estimated at nearly 24 trillion dollars – the size of the world’s leading economies, according to a new report released Thursday by the World Wide Fund for Nature (WWF). Describing the oceans as economic powerhouses, the study warns that the resources in the high seas are rapidly eroding through over-exploitation, misuse and climate change. “The ocean rivals the wealth of the world’s richest countries, but it is being allowed to sink to the depths of a failed economy,” said Marco Lambertini, director general of WWF International. Titled Reviving the Ocean Economy, the report was produced by WWF in association with The Global Change Institute at the University of Queensland and The Boston Consulting Group (BCG). After nine years of intense negotiations, a U.N. Working Group, comprising all 193 member states, agreed last January to convene an inter-governmental conference aimed at drafting a legally binding treaty to conserve marine life and genetic resources in what is now considered mostly lawless high seas. Dr. Palitha Kohona, Sri Lanka’s former Permanent Representative who co-chaired the Working Group, told IPS the oceans are the next frontier for exploitation by large corporations, especially those seeking to develop lucrative pharmaceuticals from living and non-living organisms which exist in large quantities in the high seas. “The technically advanced countries, which are already deploying research vessels in the oceans and some of which are currently developing products, including valuable pharmaceuticals, based on biological material extracted from the high seas, were resistant to the idea of regulating the exploitation of such material and sharing the benefits,” he said. According to the United Nations, the high seas is the ocean beyond any country’s exclusive economic zone (EEZ) – amounting to 64 percent of the ocean – and the ocean seabed that lies beyond the continental shelf of any country. These areas make up nearly 50 percent of the surface of the Earth and include some of the most environmentally important, critically threatened and least protected ecosystems on the planet. According to the WWF report, more than two-thirds of the annual value of the ocean relies on healthy conditions to maintain its annual economic output. Collapsing fisheries, mangrove deforestation as well as disappearing corals and seagrass are threatening the marine economic engine that secures lives and livelihoods around the world. The report also warns that the ocean is changing more rapidly than at any other point in millions of years. At the same time, growth in human population and reliance on the sea makes restoring the ocean economy and its core assets a matter of global urgency. The study specifically singles out climate change as a leading cause of the ocean’s failing health. At the current rate of global warming, coral reefs that provide food, jobs and storm protection to several hundred million people will disappear completely by 2050. More than just warming waters, climate change is inducing increased ocean acidity that will take hundreds of human generations for the ocean to repair. Over-exploitation is another major cause for the ocean’s decline, with 90 per cent of global fish stocks either over-exploited or fully exploited, according to the study. The Pacific bluefin tuna population alone has dropped by 96 per cent from unfished levels, according to the WWF report. “It is not too late to reverse the troubling trends and ensure a healthy ocean that benefits people, business and nature,” the report says, while proposing an eight-point action plan that would restore ocean resources to their full potential. Among the most time-critical solutions presented in the report are embedding ocean recovery throughout the U.N.’s proposed Sustainable Development Goals (SDGs), taking global action on climate change and making good on strong commitments to protect coastal and marine areas. “The ocean feeds us, employs us, and supports our health and well-being, yet we are allowing it to collapse before our eyes. If everyday stories of the ocean’s failing health don’t inspire our leaders, perhaps a hard economic analysis will. We have serious work to do to protect the ocean starting with real global commitments on climate and sustainable development,” said Lambertini. This just sounds like a schematic nightmare. Kudos to those set on getting it done. Biodiversity is worth protecting. From the abundance of species lies molecular biodiversity. Novel bioactive molecules and proteins coming from marine environments can only be identified and studied well if the marine ecosystem remains lively and intact. I wish that people understand that it is advantageous, in terms of health and economy, to do everything that is possible to preserve the biological diversity lying beneath the seas and the oceans.